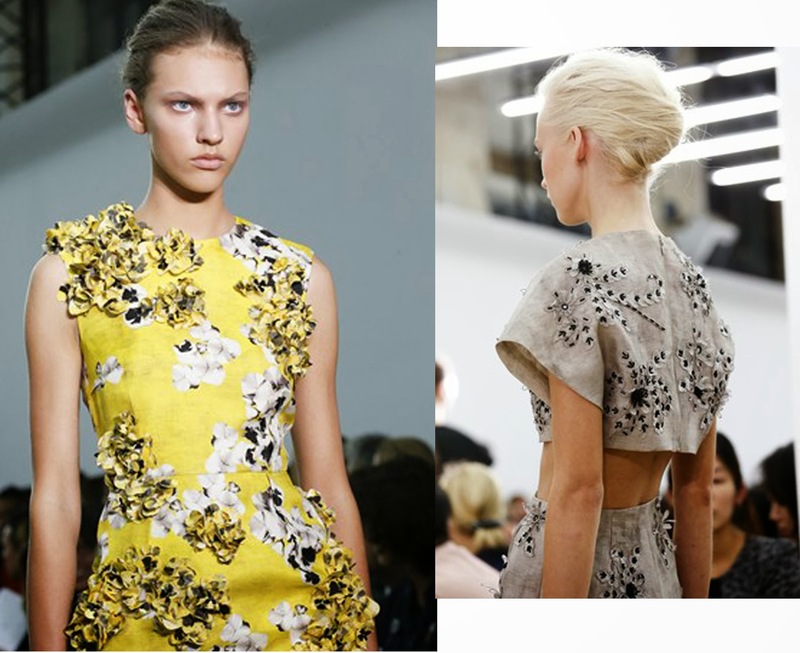 Monochrome, Feminine, sleek and easy to wear are words that spring to mind when think of Giambattista Valli S/S 2014 collection. The collection features a mainly monochrome colour palette with flashes of colours of yellow, reds and mauve. My favourite design element of the collection are the appliqué pansies. Collarless, soft shoulder coats are belted with gold coloured twine. Just beautiful couture inspired ready to wear collection.